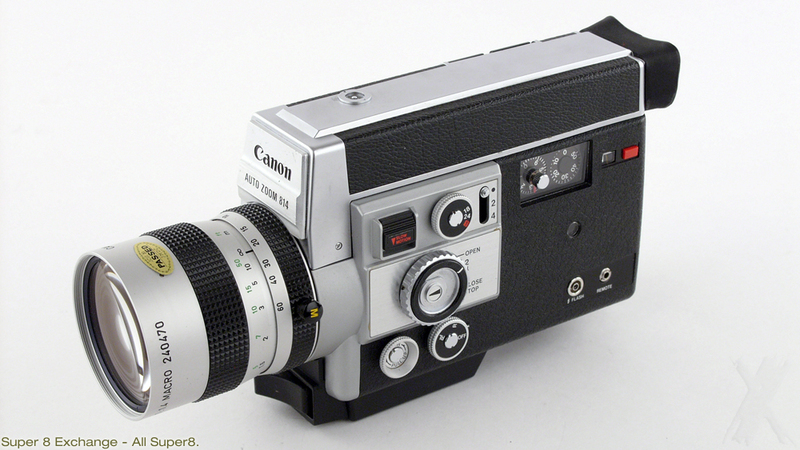 A movie camera with professional functions. 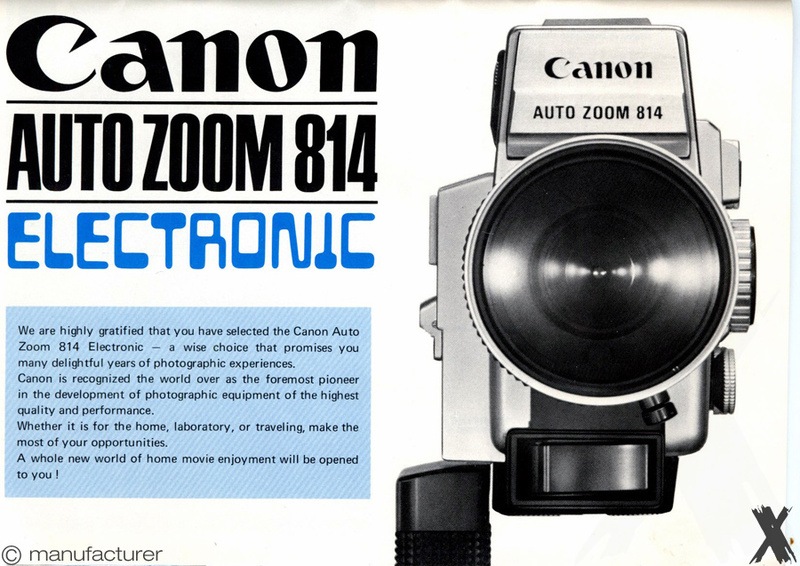 The Canon Auto Zoom 814 Electronic is one of the best Super 8 movie cameras available today. 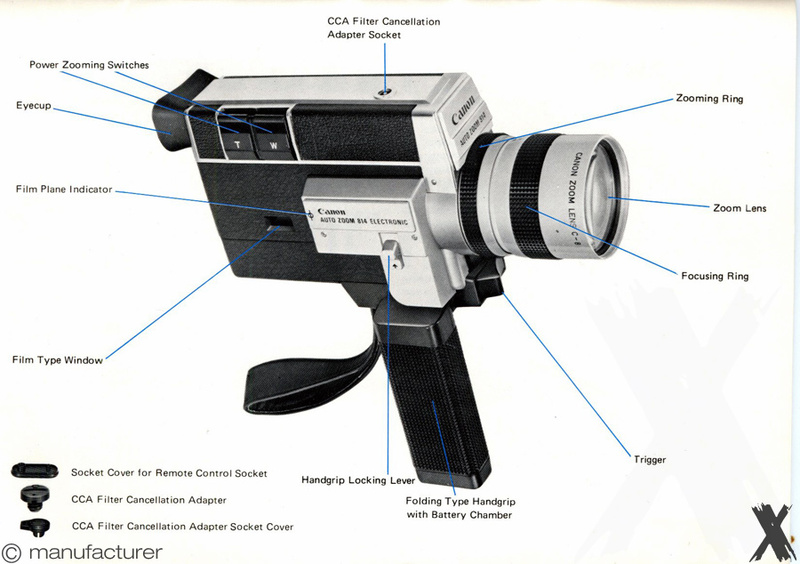 Variable shutter control, macroshooting system and a flash socket synchronized for single frame pictures are features exclusively developed for this model. 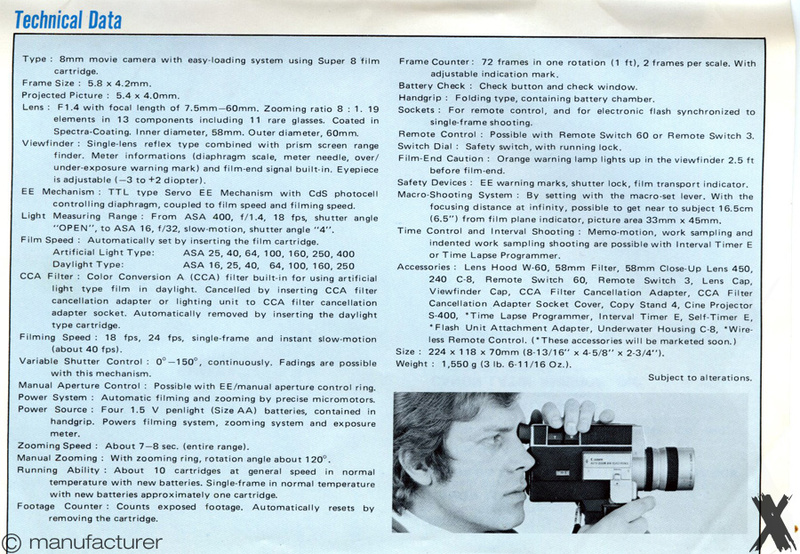 With the time accessoires (optionally available Interval Timer and Self Timer) its shooting capability covers a full range of possibilities from shooting the stages of the process of motion, to work sampling and unmanned EE shooting. Fades, var. 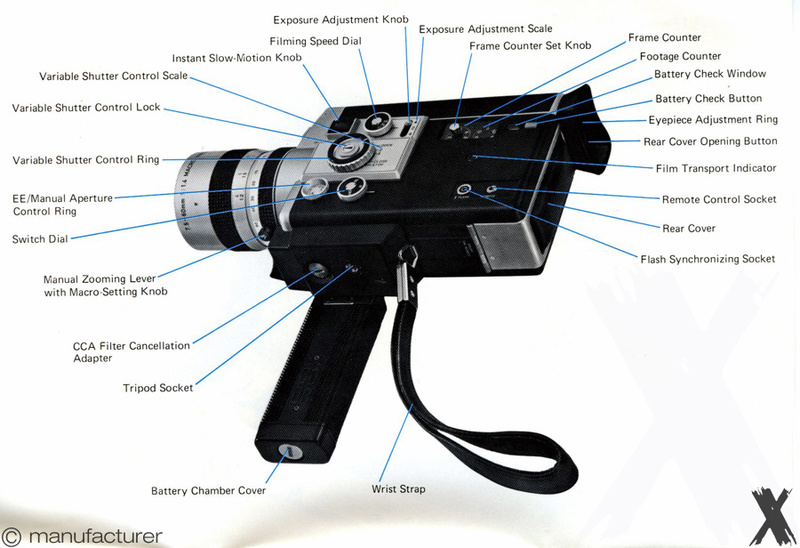 Shutter, double counter, running lock.